Kin plans to extend its gold resource at the Leonora Gold project following approvals of an initial RC drilling program at a new orebody located at one of the project’s deposits. 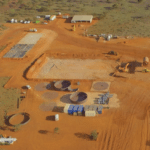 The Leonora Gold project, which hosts three gold deposits (Cardiniam Mertondale, Raeside) in the Mt Margaret mineral field in Eastern Goldfields , Western Australia, has now started drilling of the Kyte orebody following a period of geological testing last year. “We are excited to be getting back to drilling at the Leonora Gold project and following up on the strong results that were delivered by our geology team in 2017,” said Trevor Dixon, acting managing director of Kin. 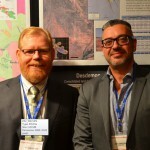 The Kyte orebody has become an operational focus for the company following enthusiastic results from a definitive feasibility study; it currently holds a JORC 2012-compliant indicated resource of 21,000 ounces (oz) of gold (Cardinia as a whole contains 296,000oz). 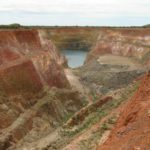 With a resource-to-reserve conversion of 86 per cent, Kin hopes to mine the Kyte deposit early in the life of the project to help pay back incurred debt. Prospector Kin, which received the Diggers and Dealers award for Best Emerging Company in Kalgoorlie last August, first acquired the historic project in 2014. Following definitive feasibility studies the company has forecasted a 55,000oz per year production rate and overall resource of 1.02 million ounces (Moz).